While the Keto Diet has seen a resurgence in popularity recently, it’s a diet plan that has been used for decades to treat the symptoms of epilepsy. Additionally, with the rise of processed foods and the advent of the low-fat, high-carb diet plans that remain popular, many families are noting a spike in childhood diseases, such as diabetes, in addition to weight gain in their children. While many people use the Keto Diet to help facilitate weight loss, it can also help families to reintroduce healthy foods into their diets again. You may be able to help keep your family healthier by practicing a whole-food, Keto-friendly diet. While most kids are more insulin sensitive than adults, meaning they have an easier time processing glucose, that doesn’t mean you have to inundate their bodies with excess sugars. 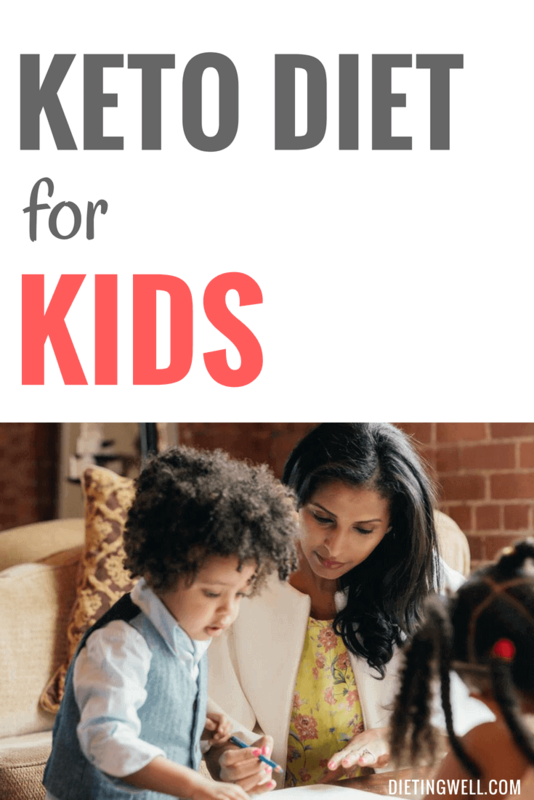 With these 3 easy ways to practice the Keto Diet with your kids, you can help to find a healthy balance for you and your family. While the Keto Diet does emphasize low-carb, high-fat eating, it is important to recognize that low-carb doesn’t mean eliminating all carbohydrates from your diet, especially for your kids. What needs to be understood is that there are sources of carbohydrates that are beneficial for your body and there are sources that are not. When practicing a ketogenic diet with the family, you need to be sure that you are getting the majority of your carbohydrate intake from vegetables and fruits that are lower in sugars and carbs. You may notice that your kids crave carb-filled snacks (that are high in sugar and over-processed), just as much as you do. This transition away from processed foods (foods that are high in carbs, processed wheat, and excess added sugar) may be challenging. Food can be an addiction, especially foods that have been manufactured according to consumer taste preferences. It’s important to stick with your new family diet plan and supplement the change with delicious, whole-foods that are good for your family. If you are worried that your kids won’t be ready to adopt a ketogenic eating plan, start small and make changes over time. It’s important to understand that kids need good sources of carbs, fat, and protein in order to have a balanced, healthy diet. What works for an adult, may not be quite right for kids, but eliminating processed foods and excess sugar from your family’s diet is a good place to start. Does your family love soda? Many people serve soda with meals and, in addition to eating meals that are high in carbs (which get converted by your body to glucose and stored as fat, just the same as sugar) they are also adding excess sugar through soda. Additionally, some families think that they are being healthier by adding fruit juices to their kids’ diet when, in reality, some fruit juices have more sugar and calories than soda. Bit by bit, start removing high-carb, high-sugar foods from your shopping list and start encouraging keto-friendly alternatives (or simply have keto-friendly alternatives available to choose from). Ultimately, you are in control of what your family eats and you need to be certain that your children are eating a diet that is nutritionally beneficial for them. While it may be a challenge when you start eliminating high-carb foods, there are many keto-friendly alternatives to popular, high-carb food choices, it just takes a little creativity and soon you may find that you and your kids don’t miss your old way of eating. Healthy food habits are a great tool to equip your kids with. When kids have healthy food habits, it can stick with them throughout their lifetime. If kids develop poor food habits (typically learned from their parents), these habits can have a long-term detrimental impact on their lives in the form of obesity, diabetes, heart disease and more. What you choose to eat with your kids will inform how they learn to choose foods and if you are choosing processed, high-carb, high-sugar foods, then your kids will learn to choose those foods as well. With busy lifestyles and high-stress jobs, it’s easy to fall into bad habits concerning food. Additionally, many people turn to “comfort foods” during times of stress. Sometimes, people use food as a reward for good behavior. What happens when people turn to food for emotional help is that it can become ingrained in their minds that when something good or bad happens, food is the answer. Teach your kids to have a healthy relationship with food. Emphasize that balance and being aware of what you are putting into your body, and why, is important. Recognize that food is for fuel and not to be used as a source of comfort. Make sure that your kids know that processed, high-carb foods aren’t a good source of nutrients. Additionally, be sure to make delicious, nutritious, whole-foods available for your kids to eat. Many children will go for what is easy and tasty if it’s there to choose from. Also make sure you set the example yourself by following through with your own Keto Diet plan as, if your kids see you eating what they can’t, it will undermine your food learning lesson. While the Keto Diet may seem like a huge departure from the conventional wisdom concerning eating, many people may find that they feel healthier and happier when eating a ketogenic diet. In today’s busy society, it’s easy to make excuses for why you and your family can’t eat healthy meals, but remember that you are responsible for the long-term health of your family. Be sure to speak with your doctor about your decision to practice the Keto Diet with your family, especially if you or a family member have any underlying health issues. Being sick and eating foods that aren’t nutritional can be expensive for both you and your family as many forms of medication (for diabetes, high blood pressure, and other obesity-related illnesses) are expensive. With these 3 easy tips for practicing the Keto Diet with your kids, you can help to take control of your family’s health by committing to a healthy, low-carb, low-sugar diet.